Introduction | J. L. Sherman & Associates, Inc.
J. L. Sherman and Associates, Inc. is the acknowledged leader in loan quotation software, including all credit insurance and debt protection methods in use across the country. We offer PC software, DLL’s, calculation engines, Internet solutions, and consulting for consumer loans, commercial loans, mortgage loans, student loans, payday loans, and APR calculations. Sherman software systems are invaluable in calculating and disclosing even the most complex loan structures, with or without credit insurance/debt protection, quickly, easily, and accurately. Our loan calculation software covers virtually all of the loan types and payment structures encountered in consumer and commercial lending calculations. These include equal payment and balloon loans, single payment loans, constant principal reduction loans, interest only loans, skipped and irregular payment loans, ARM loans, student loans, payday loans, and loans containing mixtures of different payment structures. All include complete Truth in Lending disclosures with APR values computed by either the Actuarial or U.S. Rule methods, in strict accordance with Regulation Z. All unit period and actual-day calendar interest accrual methods are available. Amortization schedules for every loan type are also included. For those interested only in APR compliance, our APR compliance software module is available as a stand-alone product. Our software designs and mathematical methods are employed throughout the lending community, from the smallest community banks and credit unions, to the largest financial institutions in the country. Our desktop and internet solutions, WinLoan-32 and eWinLoan respectively, are considered the finest sales tools to help lenders increase their credit insurance and debt cancellation/deferment penetration. 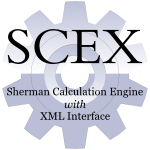 Many of the largest Loan Origination Software providers utilize our calculation engine (the SCEX) for the loan calculations and Truth In Lending disclosures provided by their origination systems. Please take your time and browse through our web site. If you have any questions or comments about the web site or any of our products, please contact us. The CFPB is adjusting two dollar amounts that are used in the “points and fees” trigger for coverage under HOEPA for calendar year 2019. The two dollar amounts are (1) the loan amount threshold (changing from $21,032 to $21,549), and (2) the total points and fees amount (changing from $1,052 to $1,077). All of our core products have been updated to include these new amounts, ensuring that your organization is compliant with the new year’s values. We are pleased to announce that LoanStar Technologies has chosen J. L. Sherman & Associates as their exclusive partner for the loan and insurance calculations in their MerchantLinQ platform. LoanStar will be using the Sherman Calculation Engine with XML Interface (SCEX) to drive the calculations in MerchantLinQ. LoanStar provides their MerchantLinQ platform to banks, credit unions and finance companies seeking to originate consumer loans at the point-of-sale. MerchantLinQ includes a series of tools that enable home improvement contractors, medical practitioners, small vehicle/lawn/garden dealers and renewable energy contractors to position payments with a consumer. The positioning of the financing option on their goods/services through a local lender’s brand enables uplift in adoption. LoanStar delivers MerchantLinQ as an add-on to existing LOS systems focused on retail or indirect lending and has partnerships with 12 LOS platforms today. Additionally, LoanStar can couple their technology with a sales team that aggregates merchant relationships on behalf of the lender. Farm Credit Mid-America is an agricultural lending cooperative owned and controlled by Farm Credit customers. With more than 1,200 employees, Farm Credit serves nearly 100,000 customers throughout Indiana, Ohio, Kentucky, and Tennessee. The CFPB is adjusting two dollar amounts that are used in the “points and fees” trigger for coverage under HOEPA for calendar year 2018. The two dollar amounts are (1) the loan amount threshold (changing from $20,579 to $21,032), and (2) the total points and fees amount (changing from $1,029 to $1,052). All of our core products have been updated to include these new amounts, ensuring that your organization is compliant with the new year’s values. Mastercard (NYSE: MA), www.mastercard.com, is a technology company in the global payments industry. The company operates the world’s fastest payments processing network, connecting consumers, financial institutions, merchants, governments and businesses in more than 210 countries and territories. Mastercard products and solutions make everyday commerce activities – such as shopping, traveling, running a business and managing finances – easier, more secure and more efficient for everyone.